The infamous scammer is back...? 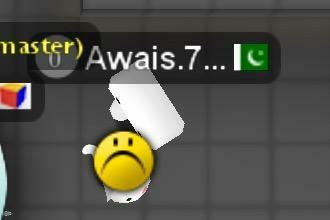 A few days ago, we saw awais.7 complaining that he got banned for 90days, but what’s he doing here? He probably found a way pass the IP...? It isn't hard to bypass an IP ban. A permanent ban should be given if he is the real awais. You'd think he would be smarter and choose a different name, since everyone knows him as awais.7, a scammer. Did he admit he is the real awais.7? Any proof of that? What the heck...you know what he was like! Too stubborn too die. There's no way in hell it's one of his fanatics. It's him. @LateCom did you share this info with support? If not, do it right now and add as much details as possible.